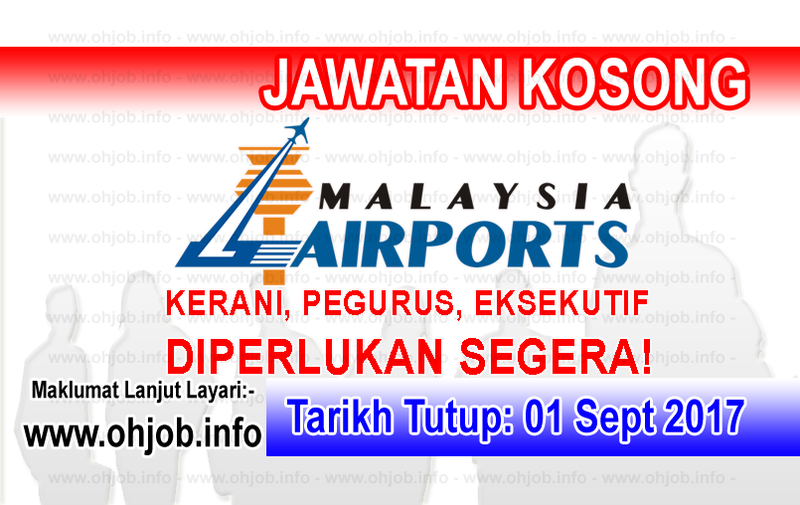 Malaysia Airports is an established public-listed company primarily involved in the management, operations and maintenance as well as provision of airport related services to the majority of airports in Malaysia with KLIA being the flagship. As a dominant player with high ambition, we understand that it is the cumalative knowledge, expertise and talent of our people which lead us to future success. As such, we place great emphasis on our human capital to meet the chalenges of the present and future environment. Terima Kasih Kerana Membaca Dan Menyemak Jawatan Kosong Malaysia Airports - MAHB (01 September 2017) Selamat Memohon Dan Semoga Berjaya Kami Ucapkan, Sila LIKE Facebook Page Kami Dan Kongsikan Kepada Semua.